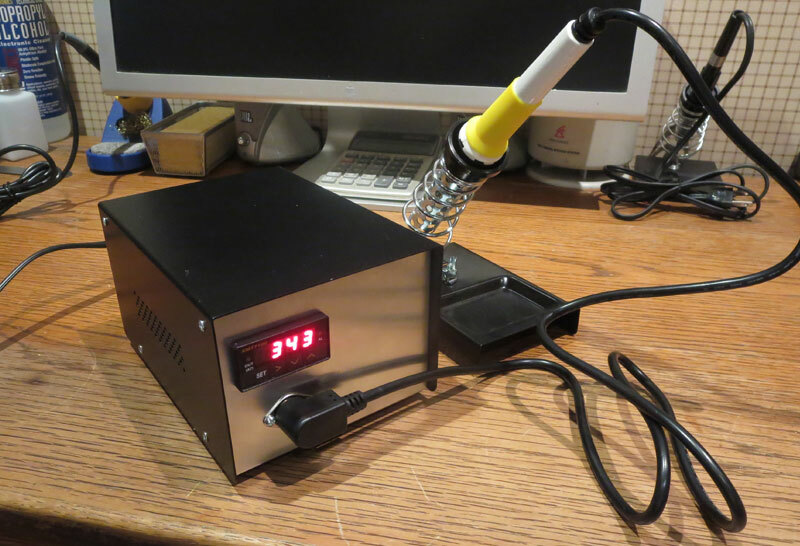 This post is the second example of how to make a 110 volt temperature controlled soldering station. Please refer to the previous post for information on materials used, their costs and where they can be obtained. 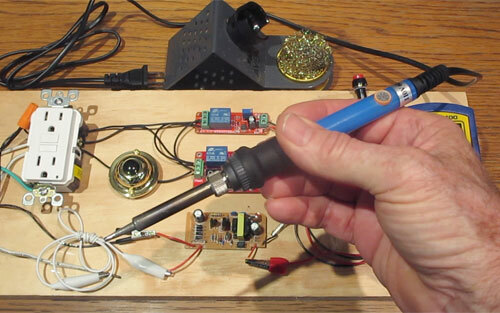 The steps for modifying the soldering iron are very similar to the previous post but a few things are different for this version. 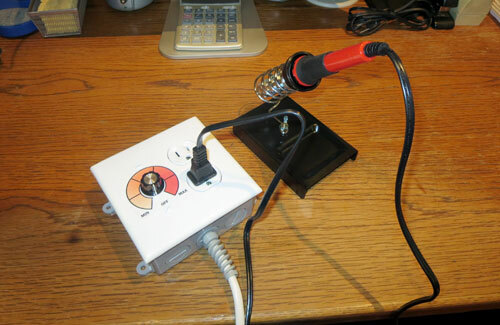 This post shows how to build a do it yourself 110 volt soldering station. 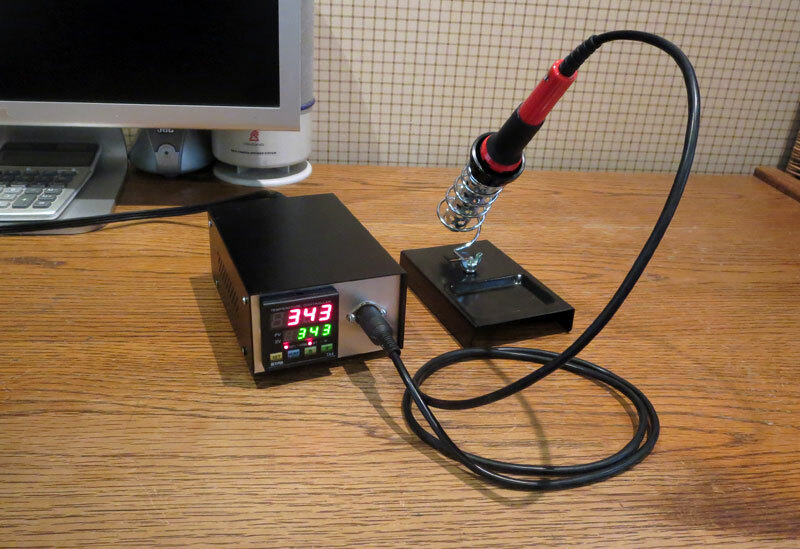 It is a step by step guide that shows how to convert a regular plug-in soldering iron into a temperature controlled unit. 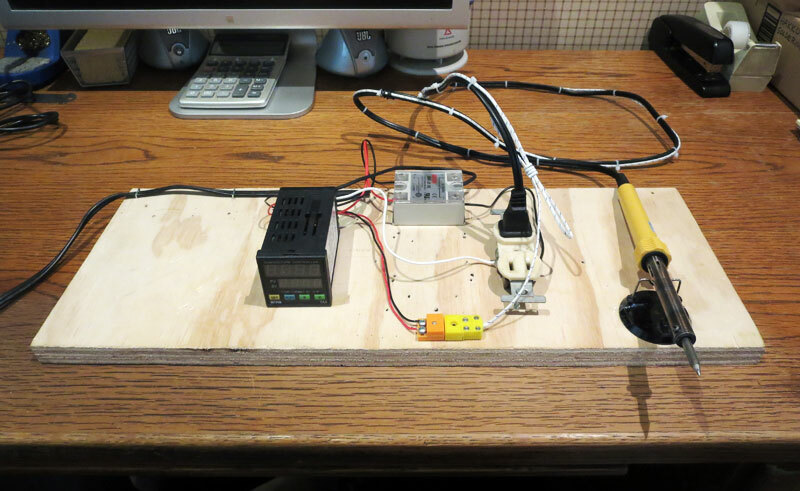 This is a do it yourself project for a digital temperature controlled soldering station. It is an easy project that requires only basic skills to build and it it is constructed entirely from off the shelf components available from online sources. This is a follow up to a previous post on a way to get temperature control for a plug-in soldering iron without a temperature sensor. Instead of using a sensor to control the temperature, this unit sends power to the soldering iron in precisely timed pulses in a way that mimics the timing of how a temperature controlled soldering station does. 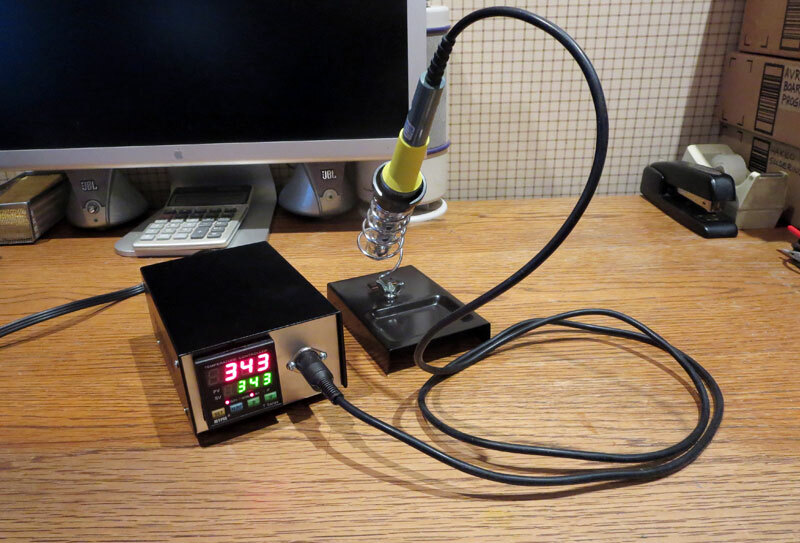 Getting precise temperature control is one of the challenges when working with a regular plug-in soldering iron. The best way to get temperature control is with a high quality soldering station but many people who work with electronics have one or more plug-in soldering irons in their toolboxes. 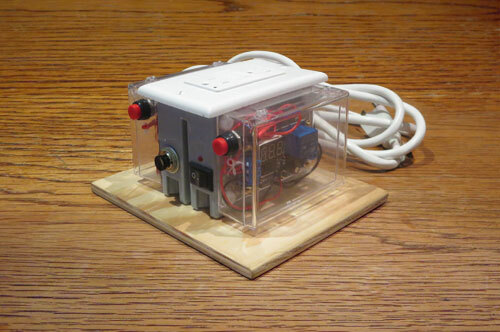 This is a project for a do it yourself analog soldering station. The design is a variation on some low-end commercial units that don’t have a built-in temperature sensor in the soldering iron.